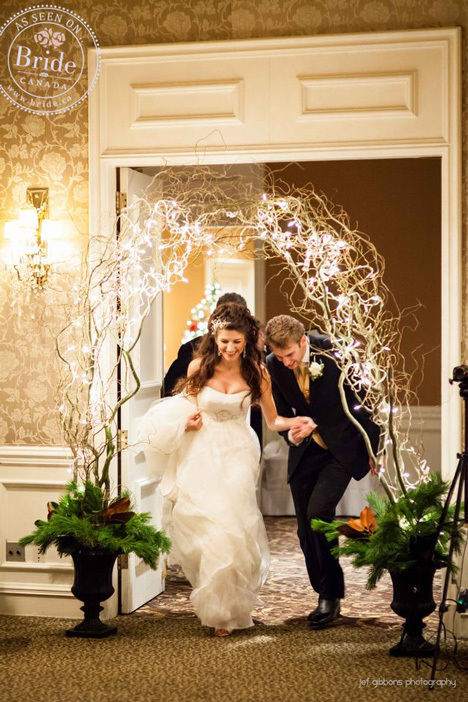 bride.ca | Leah-Rose & Brendan at Sutton Place: A Real Winter Wedding, Vancouver Style! 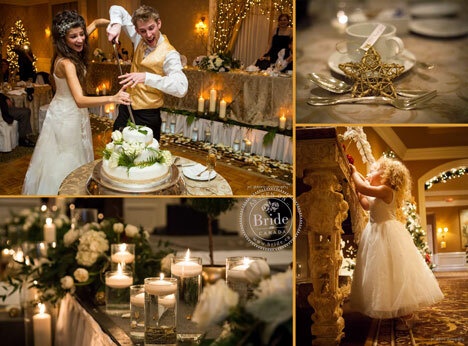 The prestigious The Sutton Place Hotel in the centre of the city hosted the couple both for their ceremony and their reception. 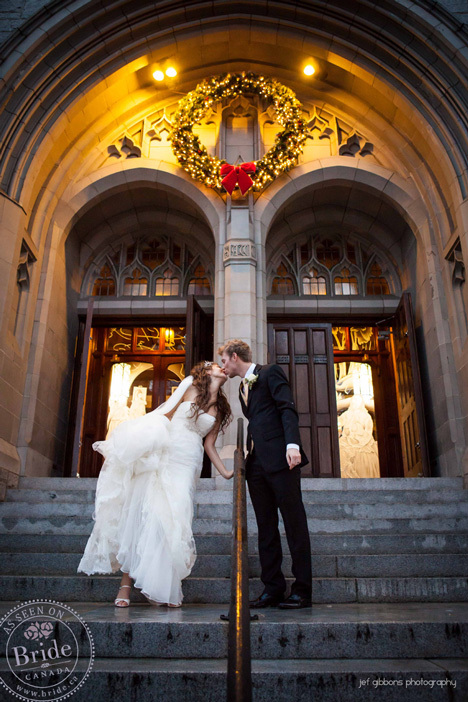 Since December in Vancouver is often rainier than it is cold and white, having the ceremony and the reception in the same location proved a very smart and "dry" decision for the couple and a very thoughtful consideration for their guests. 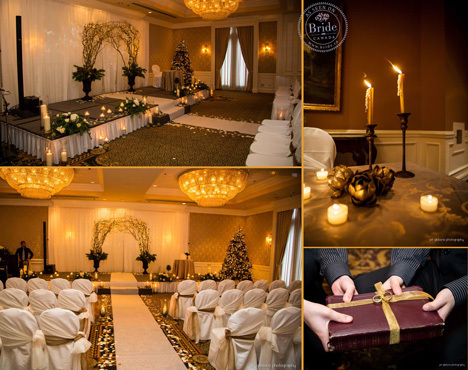 The hotel's grand entrance and elegant atmosphere offered the perfect backdrop for Leah-Rose and Brendan's woodland elegance themed winter wedding. 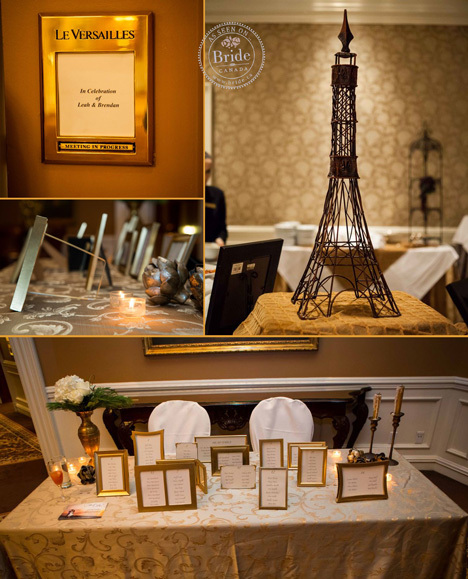 The décor picked up on the hotel's already elegant atmosphere with the addition of soft candlelight, and muted gold accents. 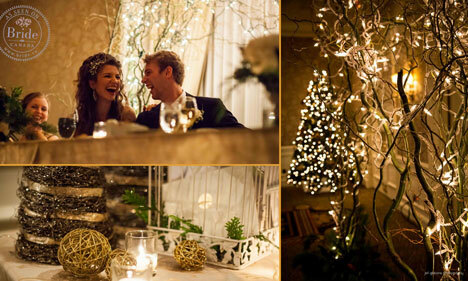 The use of twigs and greenery in Leah-Rose's "woodland elegance" theme brought a natural feel to the room while the adorning white lights lent a wintery sparkle to the warm and inviting environment. 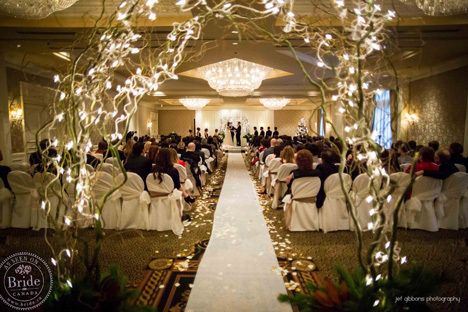 Two curly willow archways (designed by Leah-Rose) adorned the aisle and the stage during the ceremony and were later used as a head table back drop and as an entrance arch during the reception. Alternating short and tall centerpieces accented the guest tables; florals were used in the short displays whereas the tall vase centerpieces incorporated branches with hanging candle holders and crystal chains. The beautiful bride took centre stage as she glided down the aisle in an elegant strapless tulle and lace gown (Ramaje by St. Patrick)..a unique creation featuring a trumpet skirt that is hidden under a tulle overskirt with appliqués. A simple jewel accent on the slightly raised empire waist along with a tone on tone sequin in the bodice created a very subtle sparkle to an already special gown. The bride's wedding day look? Simple adornments completed Leah-Rose's look...a long veil was attached to the back of her lovely long, wavy hair. 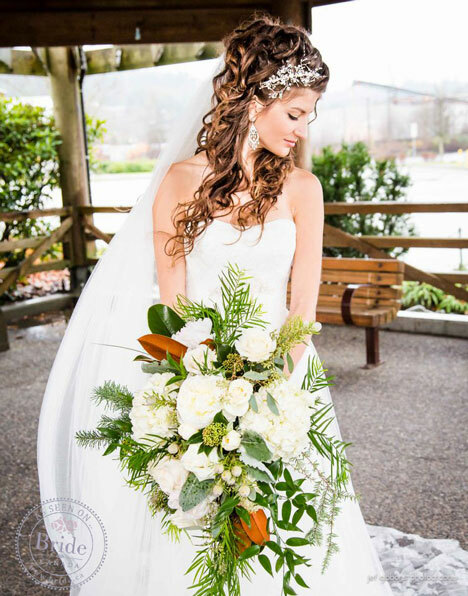 And, one, single ornate rhinestone hair pin created the centerpiece of an already magnificent wedding hair style. 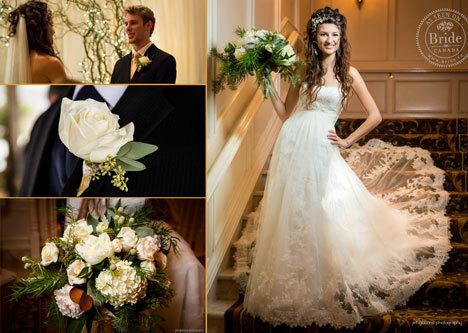 Sophisticated, modern, and romantic! The bridal party was sheer elegance in a wonderful blend of elegance and winter chic in one of the season's top colour combinations, navy blue with gold accents. The bridesmaids complimented their navy gowns with blue and gold accented pashminas, the perfect cover up for a winter wedding. 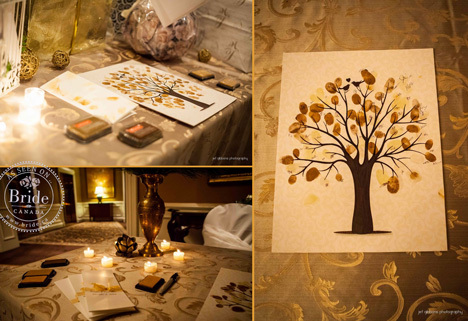 We absolutely LOVE this idea..the guest book was actually a picture of a tree without leaves. Next to the picture were several ink pads and each guest would use the ink to place their finger print "leaf" on the tree, then, they would sign their name or initials on it. How unique and what a fantastic keepsake for the bride and groom! Leah-Rose and Brendan incorporated a lot of personal touches in their wedding which made the day so much more meaningful. For example, the elven sword they used to cut their wedding cake was the same collector's item Lord of the Rings Sword that was present on the night they met! Also, Brendan composed two songs especially for Leah-Rose. The first song was played as she walked down the aisle with her father David and the second was sung by Brendan when he serenaded Leah-Rose at the reception...ROMANTIC!!!! 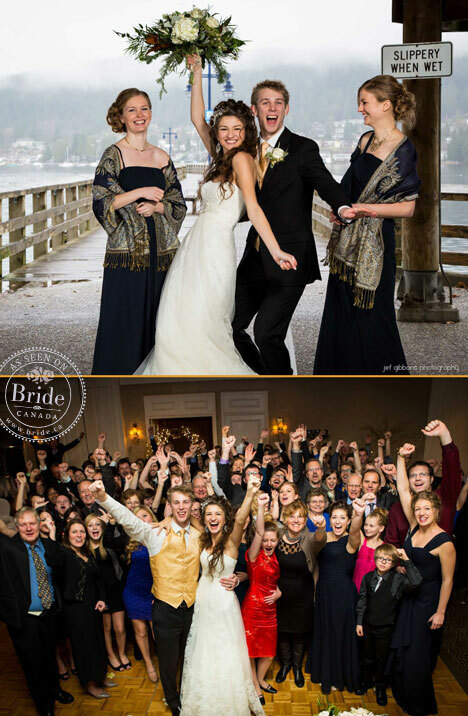 The emotion filled ceremony led into a fun-filled evening of games, laughter and dancing. Leah-Rose and Brendan celebrated well into the night with over 200 of their closest family and friends. A beautiful end to a beautiful wedding with a beautiful couple! Congratulations to the happy newlyweds and to their proud parents, David & Margrit Hartman (Leah-Rose) and Larry & Carolyn Kwiatkowski (Brendan)!